AWARDS: Defense Meritorious Service Medal (2), Meritorious Service Medal (3), Army Commendation Medal (4), Army Achievement Medal (3), Joint Service Achievement Medal. EDUCATION: University of Tennessee Knoxville, B.S. Civil Engineering; University of Tennessee Space Institute, M.S. Aviation Systems. 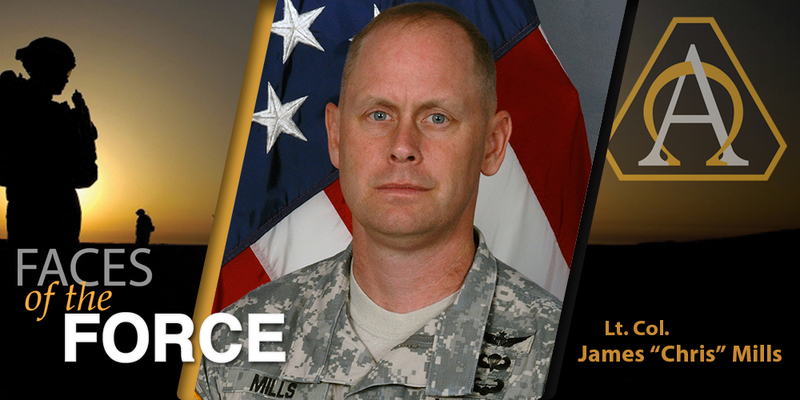 Spend the day in Lt. Col. Chris Mills’ shoes and you’ll get to experience the entire acquisition life cycle. 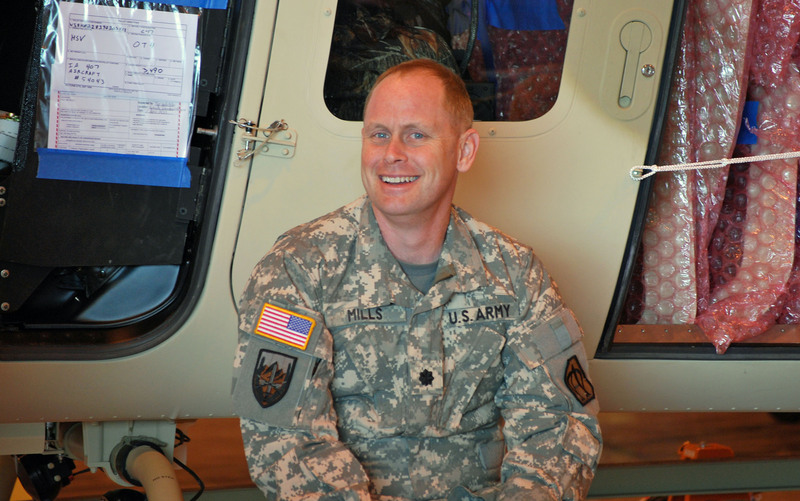 As Product Manager for Armed Reconnaissance Helicopters, he and his team are responsible for the Army’s scout helicopter and training helicopter fleets, managing the modifications, sustainment and support of more than 738 aircraft. A typical day goes something like this: “One day last week, I started off with a user group meeting to discuss future scout aircraft requirements, then reviewed modifications and overhauls for training aircraft and safety modifications for the Kiowa Warrior, worked through some details related to a foreign military sales program, and tried to assess plans for divesting the OH-58 Kiowa, the OH-58A/C and TH-67. Those aircraft are to be replaced with the AH-64 Apache and UH-72 for scout and training missions,” Mills said. What do you do in the Army? Why is it important? 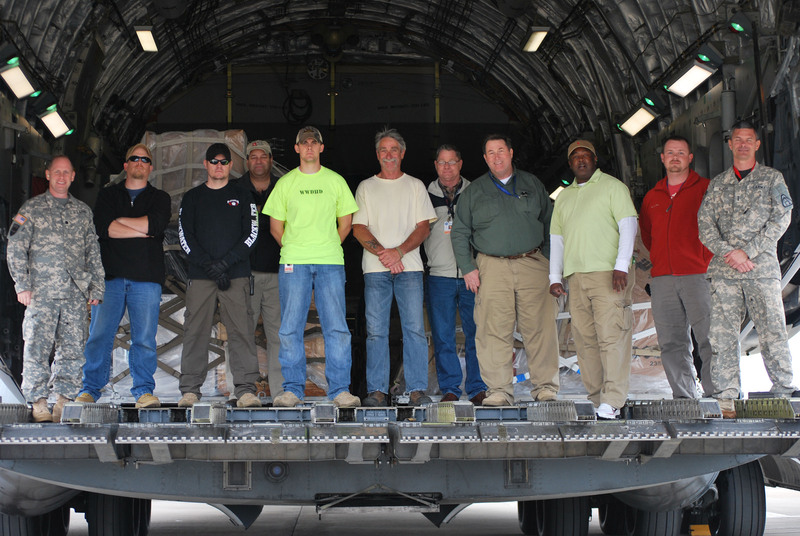 Our team is responsible for providing the air cavalry scout pilot the tools he/she needs to do their job well. In our office we have a very close relationship with the user. We are in close contact with the armed reconnaissance squadrons and we feel an intense responsibility to provide first-class support to the scout pilot who’s out front as the eyes and ears of our formations. What has your experience been like? What’s your biggest challenge? My experience has been an almost constant challenge of different jobs and interesting and unique people. What has surprised me the most is the diverse set of people that I get to meet and work with on a daily basis. The people make this job fun. One of our challenges has been working with the Kiowa Warrior. It’s the same basic airframe that was developed in the early sixties. It is now modernized, digital and still very capable, but the airframe itself is 40 years old. And, due to variances in the manufacturing process used back then, each one is a little different. That definitely makes things difficult when we’re trying to modify existing equipment or add a new component, as does the fact that we’re often trying to compare the original drawings—usually on paper—to the computer-aided design output we have now. Overall, the Kiowa has performed very well in combat: it had the highest operational readiness of any aircraft used in Iraq and Afghanistan with just a small percentage of the overall aviation budget. It’s been a very reliable platform for supporting our warfighters. I deployed to Afghanistan in 2010 with the Defense Contract Management Agency, and helped provide contract management oversight for contracts with local Afghan companies. Dealing with those Afghan companies and addressing some of the cultural and logistical issues was a challenge — we were trying to apply 21st century contracting principles in a world that was still set in the 19th century. There weren’t a lot of banks in the country at that time, and a lot of the vendors we worked with lacked the ability to make electronic fund transfers. But it was also very rewarding: our team tried to develop contracts that would be helpful for long-term industrial growth, and I think we were successful in doing that. Why did you join the Army? What is your greatest satisfaction in being part of the Army? Growing up I always enjoyed being part of a team. Joining the Army was just an extension of that. In the Army I could be part a team that was accomplishing something bigger than just me. Also, I always enjoyed the outdoors and sports so the Army was a natural fit. My greatest satisfaction is hearing from the user that the product we provided was what they needed to meet their mission.